The best in moose hunting tips. 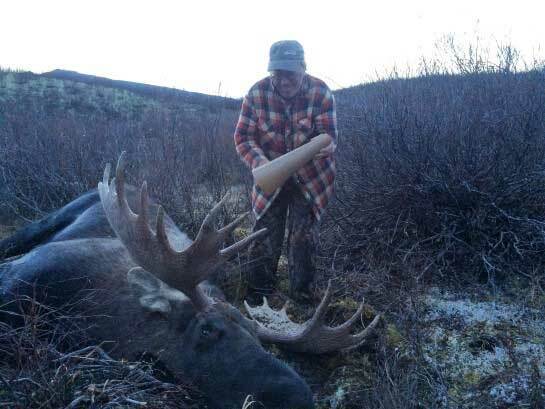 These secrets are what skilled moose hunters use and we want YOU to know them. Believe me if you do not know these tips, you are not finding the most moose you could. If you use the hunting tips contained here and in our book not only you will see more moose, you will get closer to them and quite possibly harvest the moose of a lifetime. 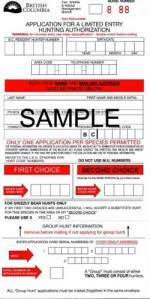 Do you want to increase your chances of getting a moose this fall? I suggest you read about and put to practice these tips for finding moose. I see a lot of hunters out in areas where we hunt moose with the majority of them just driving around, hoping that by some chance they might see a moose within a reasonable distance of the road? Unbelievably, they do not even get out of their vehicles! Hey folks! That's not the most productive way! To increase your success rates you have to get out and look where the moose live... preferably away from human traffic. I have to admit though (sheepishly); I have done some road hunting and taken a few moose this way too. Actually road hunting is a good way to get familiar with a new area. The point is, if you get out of your truck and get away from the roads and people you are going to see more moose. 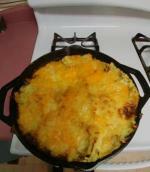 For your information in many provinces it is illegal to hunt over bait (enhanced food). Read on to find out how to apply some of our moose hunting tips and techniques. Use the wind to your advantage, and use a wind indicator to detect the direction from which the air is flowing. During the rut or breeding season, hunt near lakes and ponds (this is where the cows are). Hunt for moose near food sources and water. Hunt the fringe areas, away from where other hunters are, away from the roads and traffic. Do not setup your camp on the edge of a likely hunting spot. Your noise and smells will chase any nearby moose away. Study and learn about the difference between Core Areas and Home Range. Learn to recognize the difference between fresh and old moose sign. If you see or hear a moose just before or after dark, leave the area quietly and return early the next morning. The moose, if not spooked it will likely still be in the area. Do some preseason scouting and calling. 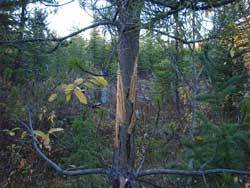 Identify and learn to hunt prime moose habitat. Learn more. Another rather large bull moose that was lured in using our fiberglass moose call! Hunt higher elevations during the early season. When temperatures are above 65 degrees F you will have to go deep into the forest to find cool areas. Hunt during the moose rut... whenever possible. Late season moose hunting requires you to go deeper into the forest away from the openings. Be sure to carry a map and GPS or at the very least a compass for to ensure your safe return. 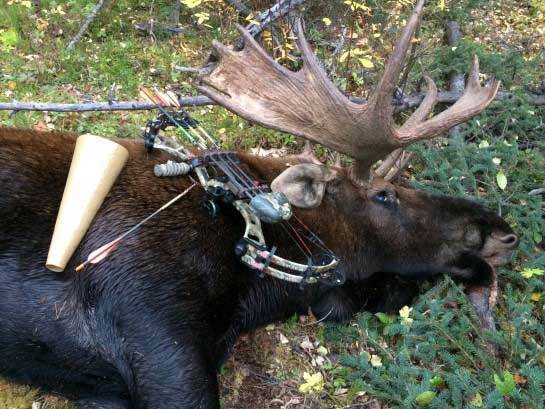 Moose hunting in November can offer its own challenges. 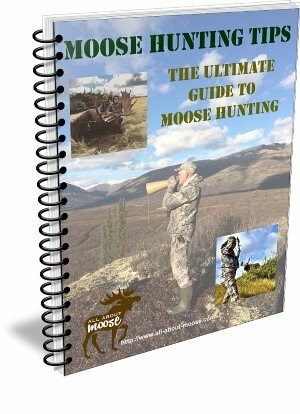 The Moose Hunting Tips Book - The Ultimate Guide to Moose Hunting can help you. 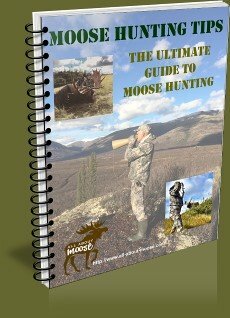 Quite simply it's the largest collection of moose hunting tips and techniques available in one place. I've run into more than one hunter over the years who mentioned the fact that they had to go to town for WiFi service to read up on hunting tips. Well no more. Buy the print book or download it and store it on your device, that way you can have all the hunting tips with you, even in the field. 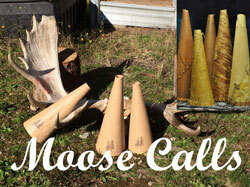 Use a birch bark or fiberglass moose call and learn how to use it and put moose calling to the test. See for yourself if calling isn't the most exciting way to hunt moose. Use an old shoulder blade bone to rake trees (to imitate a bull moose thrashing a tree with his antlers). Decoying geese? Moose are easily fooled too. Just by the use of a Montana Moose Decoy. The cow moose decoy can be used to get the attention of a bull moose. Especially useful when you need to stalk a bull out in the open or when you have an incoming bull. Get the bull moose concentrating on the decoy and not you the shooter. Make use of a trail camera for moose hunting. Trail cameras can tell you a lot about what is happening in an area when you are not there. Maximize your advantage by using elimination scents. Carry a length of rope in your pack. 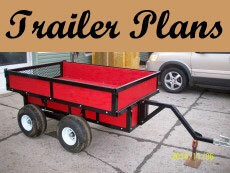 This can be used as an aid when field dressing. Bull moose lured in close enough for an arrow shot. Wear clothing that does not make any noise while you move. Fleece or wool is best. Check out the entire line of Sitka hunting clothes. We have switched because the patterns make you invisible! Good quality waterproof and warm boots keep your feet protected and dry while out in the field. Tip for hunting cow and calf moose, stay close to water sources. They use these areas for safety reasons. The biggest bulls will be attracted to these areas during the rut. Learn how to mimic a calf moose in distress. Often, cow moose within hearing distance will come to investigate even when it is not her own calf. A bull moose did this. You are in moose country! When tracking moose learn to recognize the circling patterns. Decide on the best shot placement for moose. Field dress your moose right away. It is very important to cool the meat as soon as you can; this helps prevent spoilage and gamey flavors. When approaching a downed animal, do so from the rear (IE: perpendicular to its back). If its eyes are closed, the animal is still alive. Use caution! You may have to shoot again. Don't spread yourself to thin. 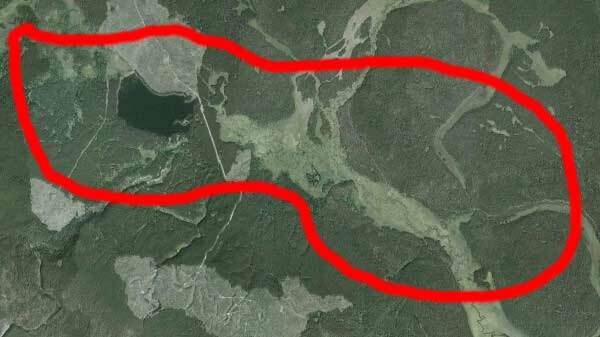 I'll give you an example: One area where we hunt moose we concentrate our efforts over an area that stretches along 22 Kilometers of logging road. This area comprises of adjoining meadows and logged areas, not all of which are visible from the main road. Use topographical maps and Google Earth to study the area you hunt or are planning to hunt. Every year prior to hunting I use Google Earth as a study tool to refresh my memory. Get to know your area intimately and study the moose movements. When studying areas to hunt, look for fresh sign. Droppings, rubs, tracks, wallows and beds are all important things to watch for. Moose if undisturbed will use the same bedding areas season after season. You will see through diligent observation concentrations of moose sign. Make note of sign you find, mark it on a map if you have one. The balance of the this tip is included in the book. 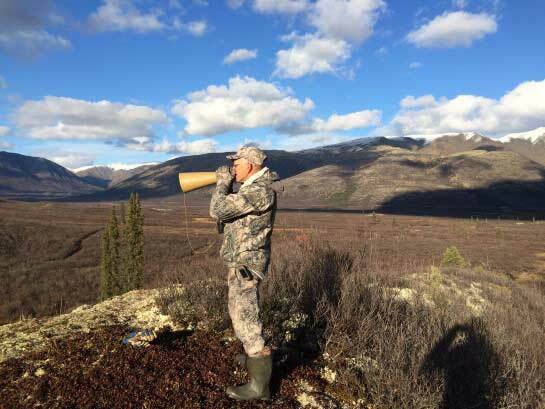 This is a very important tip for moose hunting: Use a moose call! Calling moose; North America's largest land animal has to be one of the most exciting activities I have ever done. A couple of years ago, one evening I was calling moose and had two bulls come in at the same time. They came very close but didn't show themselves, before darkness swallowed up the landscape. No sighting and no pictures but I was still pumped! The next morning I found my way back to the same spot. I hadn't even removed my pack and in the distance an audible grunt broke the silence of the still, cold air. The balance of the this story is included in the book. You can do it too! Read more about how and which seasons to use moose calls in our eBook. is using the wind to your advantage. One of several very important moose hunting tips is to keep downwind of your quarry. If you see a moose along the edge of meadow and you feel you need to get closer, you must approach from the downwind side. What exactly is meant by keeping downwind? Even on those days when there is no discernible wind, the air still moves. It is actually on these types of days it is the most difficult to approach a moose. This is because the air movement can switch around on you and you won’t know it. Moose have very sensitive noses, and are usually quite wary of man; if a moose smells you he will leave the area immediately. I use one of those little bottles of powder to check wind direction. They work very well. As a moose hunter, it doesn't matter if you are a novice or an expert, we all strive for the same result. Get close enough to a moose (bull, cow or calf) and make the shot. If we have enough knowledge it's easier to close the distance, what if we don't? All of the points made above are covered in detail in our book, The Ultimate Guide to Moose Hunting. How can we get just a few more ideas on closing the gap? Our Ultimate Guide to Moose Hunting Book is a game changer. It really can make the difference!